Your daily morning routine is sure to include personal hygiene, and it’s pretty normal to include an underarm deodorant of some sort to these habits. In fact, most people apply a deodorant multiple times a day to help keep the smell and moisture of perspiration at bay. There are many types of deodorants from which to choose, including ways to apply, as well as perfumes to help mask the scent of your scent. The following Young Living deodorant review provides an overview of an all natural alternative, answering the needs of many consumers looking for a more holistic approach to their hygiene. The founders of Young Living, Mary and Gary Young, began their business as a small organic farming and distillation operation in 1993. As they grew their farmland and business ventures to include sustainable oil choices around the world, within 15 years, they found themselves the world leader in essential oils (EO) and wellness solutions. From simple essential oil concentrates, the company has grown to include oils for mind, body, and health. Included in these choices are dietary supplements, skin care products, cleaning solutions, and even makeup. A typical commercial deodorant is a product most people use daily. Through the years, there have been many questions and concerns surrounding the ingredients of these products. This has influenced companies that deal with a more holistic health approach to address these concerns. Young Living (YL) is an example of this and has released two different deodorant scents using all natural ingredients to meet your needs. Harsh aluminium and chemical parabens are absent from Young Living products, which are considered some of the most effective ways to keep body odor and perspiration at a minimum. Unfortunately, they are exactly what I called them: harsh. Aluminium helps clog your pores to provide you relief from constant sweat, and parabens help keep bacteria from growing- but have trace amounts of estrogen in them. Rumors have suggested that both can create problems and even increase your risk of cancer amongst other problems, but studies have shown that these are unsubstantiated. However, they are harsh on your skin and can cause skin irritation. Also, many people prefer not to place man-made chemicals on their bodies, which is where Young Living AromaGuard can help out. As with any product, prior to purchasing, you should look over all the features the company provides. This helps highlight what it is all about and what benefits it may have that are specific to your needs. YL AromaGuard may be simple in its ingredients and claims, but that is what makes it such a great product to consider. There are no bells and whistles to hide behind- just transparency of what is included and why. ​Coconut oil is a natural substance taken from coconuts and used in a variety of ways. It is considered a superfood and has many health benefits for your skin and body. It is an excellent carrier oil for EOs and is absorbed by the skin easily without any side effects. ​White beeswax is a filtered yellow beeswax used to help provide natural form and shape to soft products. Like coconut oil, it is used as a natural alternative for many other foundations in both skin care and health products. Pure ester, or puresters, are a naturally derived vegetable product used as a base in health and beauty products. It helps provide whiteness in lotions and creams as well. 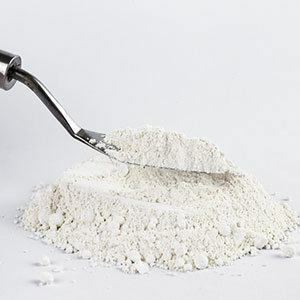 Zinc oxide is a mineral used in beauty and health as a safe alternative to chemical compounds to brighten and provide natural sunscreen properties. It is also used as a soothing agent and skin protectant. These oils along with the base ingredients are the main components to aid in natural anti-perspiration and odor control. These are derived solely from a blend of essential oils known for their soothing, astringent properties, and refreshing scents. They are also excellent oils to use on your skin and include the following: Lemon Peel Oil, Geranium Flower Oil, Rosemary Leaf Oil, Coriander Seed Oil, Lavender Oil, Furancoumarin-free Bergamot Peel Oil, Vitamin E, Tea Tree Leaf Oil, Niaouli Oil, Ylang Ylang Flower Oil, and Clove Flower Bud Oil. Young Living offers their deodorant in two different choices. 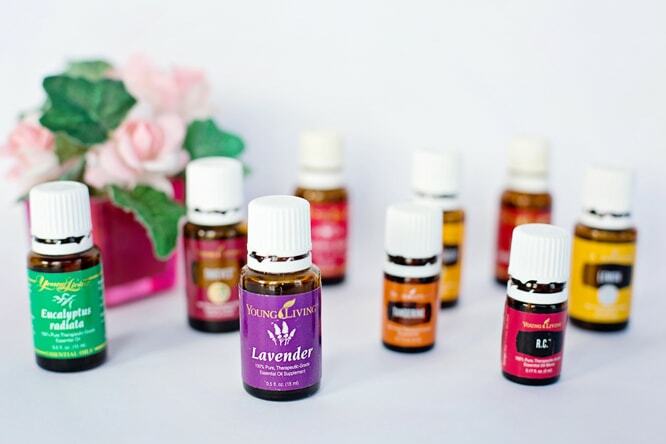 Although both are lightly scented and refreshing as most essential oils are, they acknowledge that the blends used may not be a personal preference for everyone. ​Meadow Mist is a light floral and citrus smell with strong scents of lavender and lemon, and undertones of bergamot and other earthy smells. Lemon is uplifting, while lavender is a calming oil often used for focus and peace. 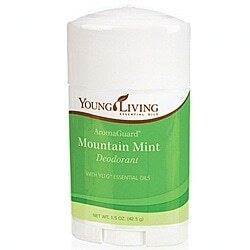 ​Mountain Mint is as it sounds- with stronger scents of lemon, rosemary, and mint. Undertones include slightly warm earth tones and lavender. These scents are energizing and are used for focus and balance. Obviously, deodorant is not a difficult product to explain with its use. AromaGuard can be used as often as you feel you need it by applying a thin layer under each arm daily. It is a bar style (or stick style) deodorant that requires you to rub against your skin. Repeat before strenuous activities and after washing. As with any product, there are some precautions you should be aware of. You should keep the deodorant out of the reach of children and pets. Not all essential oils can be safely consumed, in cases of accidental ingestion. Also, not all essential oils are good for your pets since many animals are more sensitive to the oil’s properties than humans. Essential oils can cause skin sensitivities as well, and before using, you may want to test a little on the soft skin under your arm on the upper part of your arm- especially if you know you are prone to skin sensitivities. You also may experience some sensitivity the first week you use a natural deodorant. This should be mild and is usually in response to the change to what you placed on your skin and the pores opening that was previously blocked. Many people termed this as a ‘detox’ of sorts, although no real studies point to your body actually detoxing from anything. It may, however, increase immune function due to the regular use of essential oils on your skin if you don’t do so already. Like most simple products, the packaging is fairly nondescript as well and has the Young Living Brand on the label, as well as the name of the deodorant. The back of the packaging contains ingredients, and of course, anything required by the FDA is included as well. Meadow Mist has a blue color scheme, while Mountain Mint is appropriately green. Young Living deodorant choices fall within the top picks for natural deodorants by consumers. 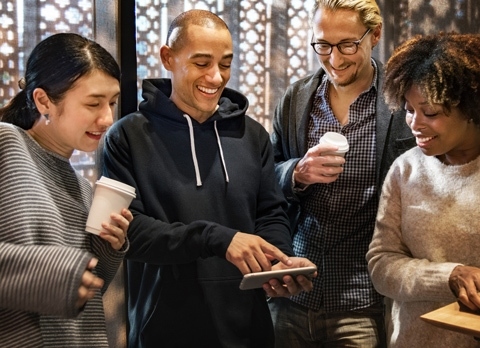 Over 70% of current users across multiple review forums say it works perfectly for them. It effectively controls perspiration and gets rid of the odor. Some use it once a day in the morning, while others apply multiple times throughout the day. Mild skin sensitivities were noticed by some but not in many users. The smell is also a favorite with a light, refreshing scent commented on for the Meadow Mist and a minty cool scent for the Mountain Mint. Overall, it seems to glide on well, lasts long, and is a great alternative to other non-natural brands. Neutral users appreciated the products but felt it overall wasn’t strong enough for them due to the amount of perspiration they produce in a prolonged activity during the day. Negative reviews surrounding its use say it’s not working at all for them and even developed skin sensitivities with its use. Not many details are included in these types of consumer reports other than they felt it wasn’t worth it. 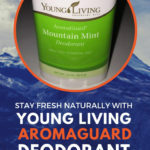 If you have been looking to replace your deodorant with an all natural choice, then Young Living’s AromaGuard Mountain Mint and AromaGuard Meadow Mist Deodorants are the ones worth considering. Their light refreshing scents and easy to apply stick provide a great barrier of protection against odor and wetness, and you are left worry free about the ingredients. If you have any questions, comments, or concerns about this product- please let us know below. We’d also love to hear about your own personal testimonials if you have used the product, and why you like (or dislike) its use. And, as always, please share!